I have been thoroughly enjoying my second citron shawl this past week. It is slowly growing as each day passes. The yarn is lovely to hold and it has the tiniest fuzzy halo that I am enjoying so much! The only other project on the needles are the socks. I am near the heel flap of the second sock. Last week I finished the hat and the finished photos are in yesterday's post. I have some ideas of what I would like to start knitting next but for now they are only ideas. I finished The Language of Flowers and it was oh so good! It is a great book filled with different kinds of love, defining motherhood, wishing for hope and embracing disappointment. The book is perfectly balanced with sadness and happiness. My new book is When God was a Rabbit and I only just started it a few days ago. So far it is interesting. I am still reading An Everlasting Meal which I find filled with bits of knowledge. Just the first chapter had me believing that my cooking could be revolutionized. Interested to hear what you make of the rabbit. We did it for book group back in April I think. The shawl looks perfect in that colour. Enjoy dreaming of new projects. I love the colour of your shawl. 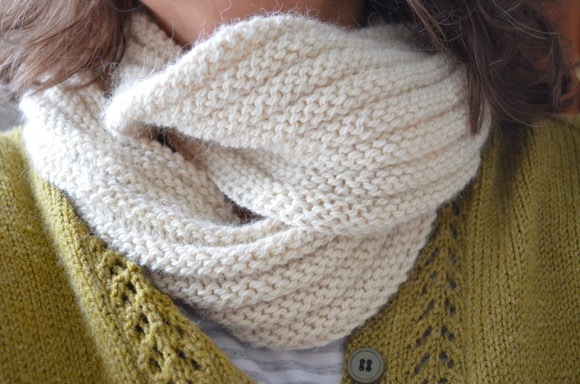 Citron is such a pretty pattern, I just don't know if I could take the long purl rows! We are reading the same book. Funny how often that happens with the Yarn Along posts. I also really like Tamar's book. Who knew you should taste the water! Wow - that citron is moving along quickly. I don't know how you do it! All of your books sound wonderful, I'm going to put them on my wishlist. The shawl is so lovely. It does look so soft and fuzzy. I've been wanting to read An Everlasting Meal. Wow - look at how big that shawl has gotten. Go, Karen! It must be awfully nice to knit something you're excited about. I'm glad. It makes the whole process nicer. isn't knitting citron like cuddling up with an old friend???? yours is just beautiful! anxious to hear about your new book---I think I remember someone talking about that book. looks interesting. If I can ever get some languishing projects off my needles, I am going to knit a citron....I even have the yarn all picked out. another lovely shawl.....you so inspire me!!! Love that color! Looking good! I loved your orange hat too. It's all making me long for fall. I'm reading the Awakening by Kate Chopin for my book club. It's much more interesting now than it was in college. I wasn't sure how the Citron would look in brown but I have to tell you I really like it! I love the color brown. Goes so well with just about everything. And that is one big ol circular needle! Every time I come to your blog and see that lovely citron I tell myself that I"m going to make one. So on SU I printed the pattern and now I just need to go the yarn store to get some lovely lace yarn. I haven't bought yarn in 8 months because I was doing the stash busting challenge, but I can't take it anymore! Lovely earthy brown shade. I had a brown sweater once (I didn't knit it, just owned it!) and I wore it to pieces. The right brown really does go with everything! 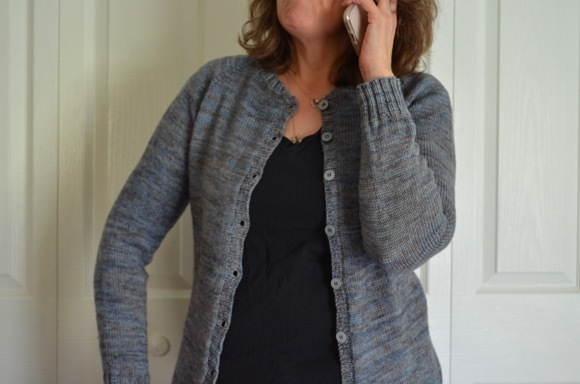 Love it, this pattern is just what I need right now, and yours is looking beautiful! I love the brown, and it makes me wonder why I've never knitted with that rich color. I really love it so far, and can't wait to see it as it unfolds to being wearable. That book is on my radar. I'll be interested to see how you like it. everlasting meal was hands down the best book i've read this year - enjoy! That yarn is such a gorgeous, deep, rich brown. Your Citron will be lovely. Your shawl is so beautiful and I do love the deep, rich, chocolate colourway. I love the citron pattern, and I feel like I haven't seen one in that colour before---it's really lovely, so rich and tree-ish. I have heard of this book... let me know how you like it as you go... I'd be interested in choosing it for book club when it's my choice next! I LOVE your Citon...what a yummy color! Lovely shawl! I think I may read The Language of Flowers next! Sounds interesting. i am going to have to knit this pattern too, i know how much you love it and i can see why! the color of your wool is gorgeous and looks like fall (i've just ordered a deep brown too!). Gorgeous Citron, its such a lovely pattern!